RICO’S PICK :: ZODIAC STARFORCE #1: I’ve read an advance digital copy of this one and I cannot wait to hold this ink-on-paper comic in my hands! 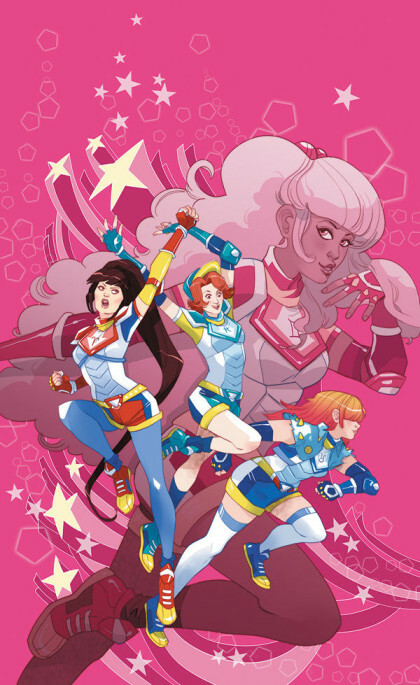 Paulina Ganucheau is responsible for the beautiful art on this book including the wonderful character designs of this magical girl team that is no longer a team. In fact, Ganucheau is handling all of the art on this book, from the drawing, right down to the very last glowing sparkle. Kevin Panetta has crafted a story that has me curious about the backstory of these girls and what will bring them back together! Get on board this unexpected new title from Dark Horse this Wednesday!